Peggy Sue (Williams) Frisbee, 84, of Crooksville peacefully went to be with her Lord in the evening of Sunday, March 31, 2019 at her home surrounded by her darling children. She was born January 22, 1935, the daughter of the late Ralph and Annabelle (Inman) Williams. Peggy worked for a time as a pottery worker for Nelson-McCoy Pottery. Her greatest enjoyment in life was raising her children and later, spending time with her grandchildren. Peggy absolutely adored and loved her cats, they were some of her true joys. Peggy occupied her time with hobbies such as golfing and bowling in various leagues, volunteering in the Roseville Mothers’ Club and creating large holiday meals for her family. Being a devout Christian, Peggy practiced her faith in the Deavertown United Methodist Church. Surviving Peggy in life are her daughters, Kathy Claypool of Crooksville, Debbie (Nick) Fosco of Columbus; her sons, Ron (Cindy) Harrison of Zanesville and Ryan (Kimberly) Harrison of Somerset; her loving eight grandchildren, her twenty-three great-grandchildren and her one great-great-grandchild. Preceding Peggy in death are her husband, David Frisbee who died March 11, 2015; her grandson, Jordan Harrison; her sisters, Linda Veyon, Rev. Judy Williams and her infant sister, Dixie Williams. Friends and family will be received, 2:00 PM-4:00 PM and 6:00 PM-8:00 PM, Wednesday, April 3, 2019 at the Goebel Funeral Home, 36 N. Buckeye St., Crooksville. Funeral services and a celebration of Peggy’s life will be 1:00 PM, Thursday, April 4 at the funeral home with Nancy Ellers officiating. Peggy will be laid to rest in Deavertown United Methodist Cemetery next to her parents. The family would like to offer their sincerest thanks to all those kind souls from Interim Hospice and Passport who cared for Peggy. 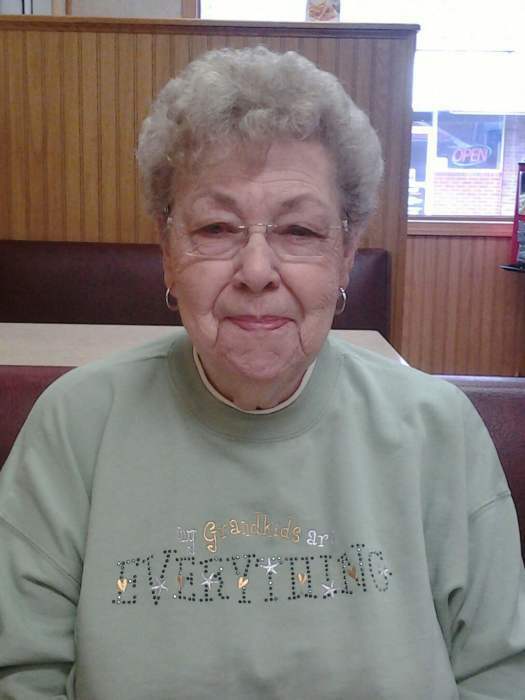 Memorial contributions may be made in Peggy’s name to the Deavertown United Methodist Church. Envelopes will be made available at the funeral home. You may read the obituary, sign the Online Register Book and share a special memory with the family at www.goebelfuneralhome.com and Like us on Facebook.